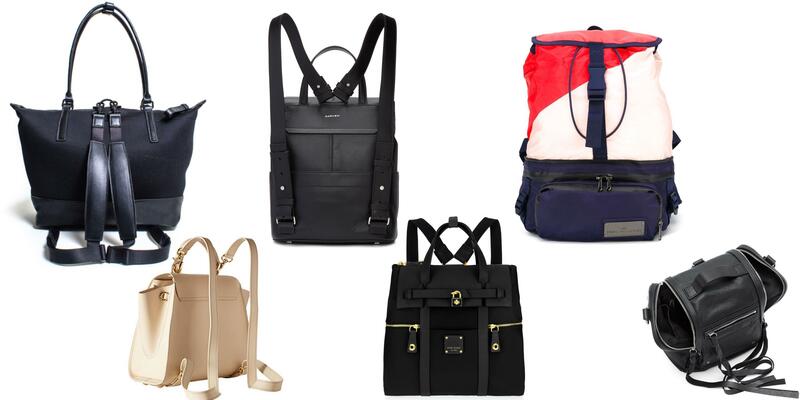 Be it the even distribution of weight, the comfort of hands-free design, or simply their trendy appearance, backpacks are the perfect companion for anyone who’s always on the go. Convertible backpacks are the ultimate iteration of the traditional knapsack, adding a unique versatility that is ideal for high-performing days and nights alike. From the gym to after-work drinks, these 8 help you carry your things in 24-7 style. Designed with Equinox members in mind, the bag features multiple external hidden pockets for on-the-go-items, a shoe compartment, and a main interior compartment big enough to fit a 15” laptop. Detachable straps allow for it to be used as a backpack or tote depending on the need. This soft suede bag is perfect for day and night events alike. The dark-colored suede mixed with the gold zippers give this bag a stylish feel. This is the perfect bag for the modern businesswoman. Made in TUMI’s iconic ballistic nylon, the bags straps can be discretely hidden in a back pocket, which transforms the backpack into an elegant tote. The detachable shoulder straps make of this bag the perfect companion. Backpack during the workday, super-chic handbag for after-yoga smoothies. Voilà. This classic choice goes with virtually any look. Made of water-proof nylon the bag can be worn as a classic satchel, a crossbody bag, or backpack - three bags in one. This structured bag by Zac Posen looks amazing as a handbag and as a backpack alike. The ivory-colored calfskin leather gives the design a delicate feel that counterbalances the bag’s strong lines. This spacious backpack can be converted into a petit fannypack in a matter of seconds. The color-blocked print makes it the perfect pop of color to otherwise monochrome looks. This is the ultimate statement bag. The twin two-way zip closure gives the bag a modern look, but the black buffed lambskin leather adds a classic touch, making it a perfect every-day bag. Wear it as a handbag for nighttime affairs, crossbody for leisure days, and backpack for hectic weekdays.